2 Beds 2 Baths 1,803 Sq. 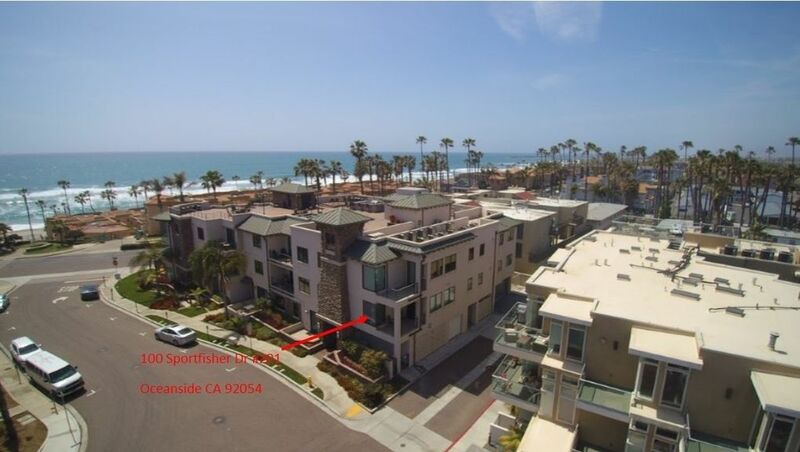 ft.
Luxurious Montego Condominiums...Oceanside's best address for exclusive beachside living. Just steps to sand & surf. Easy stroll to restaurants, pier and harbor. The "Martinique" unit offers high quality Viking appliances, Kohler plumbing fixtures, German Oak flooring & granite counters. Tankless wtr htr & energy efficient AC. Ocean & beach view from private balcony. 3 underground parking spaces & a storage unit. Fabulous 6000 sq ft roof top deck with BBQ's, TV, fireplace & spectacular ocean view! Directions To Property: Corner of N. Pacific St and Sportfisher Dr, one block north of Oceanside Pier.